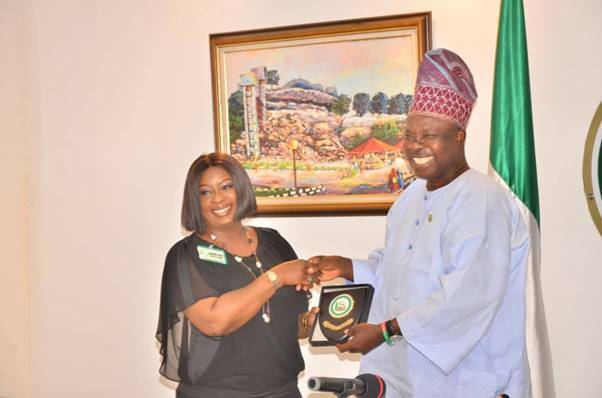 The Chairman Board of Directors of the Nigeria Deposit Insurance Corporation (NDIC), Ronke Sokefun, receives a plaque from the Ogun State Governor, Ibikunle Amosun during the Board’s visit to the Governor as part of the NDIC Board Retreat in Abeokuta, Ogun State. 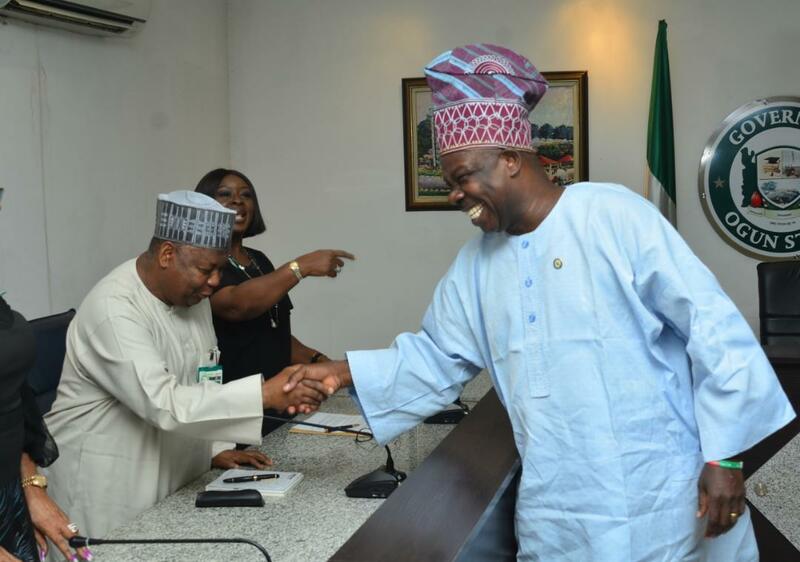 The Managing Director of the Nigeria Deposit Insurance Corporation (NDIC), Umaru Ibrahim (left), exchanges pleasantries with the Ogun State Governor, Ibikunle Amosun (right), during the NDIC Board’s visit to the Governor led by the NDIC Board Chairman, Ronke Sokefun (centre). 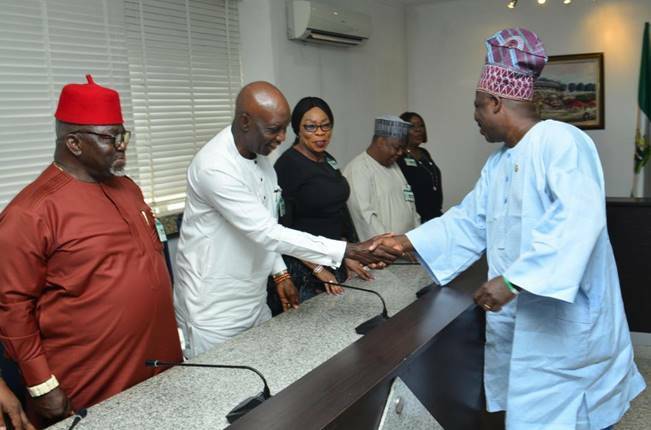 The Executive Governor of Ogun State, Ibikunle Amosun, in a handshake with Nigeria Deposit Insurance Corporation (NDIC) Executive Director (Operations), Prince Aghatise Erediauwa (2nd left), as he welcomes the members of the NDIC Board led by the Chairman, Mrs Ronke Sokefun (2ndright), along with NDIC MD/CE, Umaru Ibrahim; NDIC Executive Director (Corporate Services), Hon. Mrs. Lola Abiola-Edewor and NDIC Board Director Brig. Gen. J. O. J. Okoloagu (rtd).